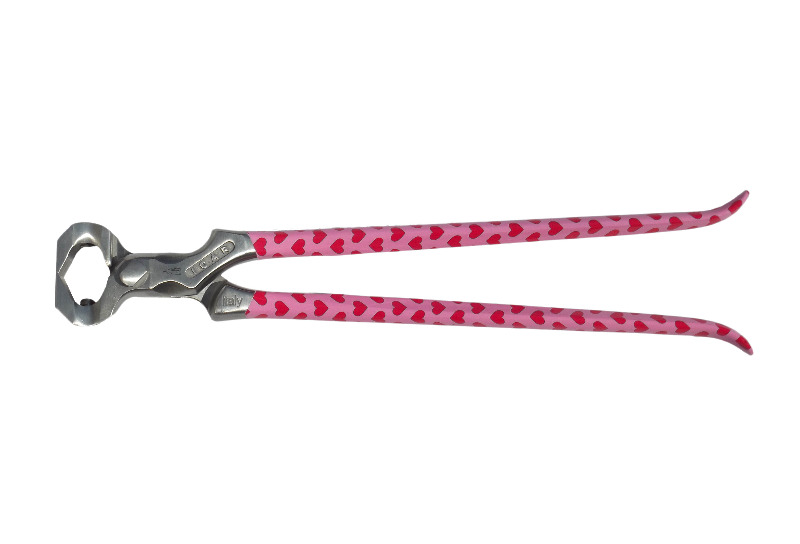 This line consist of tools with decorated handles by coating, the decoration could be the flag of a country (that could be perfect for teams that compete in horseshoeing competitions), camou, with pink hearts and pirates! The tools have to be treated with good care for avoiding scratches on the coated surface. There are already lot of decorations available but there is also the possibility of proposing new designs!